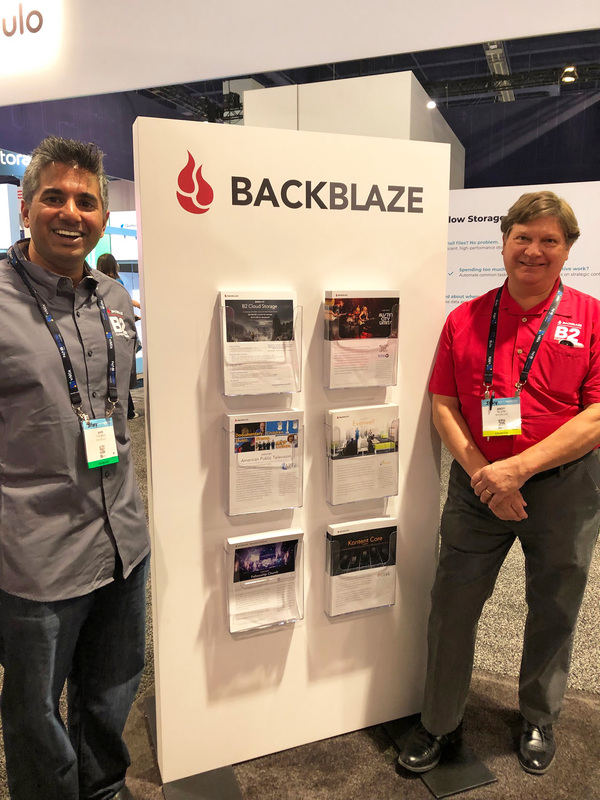 Backblaze just returned from exhibiting at NAB in Las Vegas, where, according to just about everyone, the cloud is a growing topic of interest. It wasn’t all cloud talk and HD video at the show. 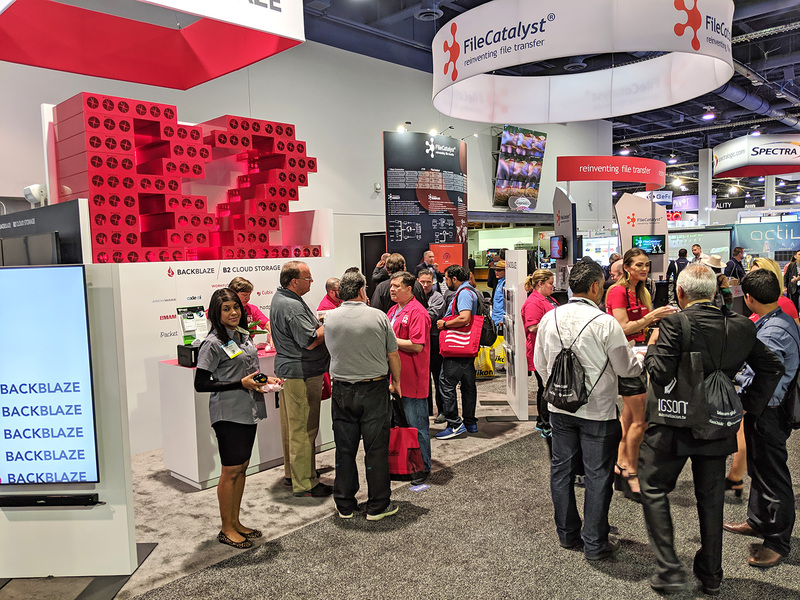 Our booth staff noted a lot of attendees wearing cowboy hats, likely because the Academy of Country Music Awards (CMA) show was held at the MGM Grand the Sunday when NAB opened. 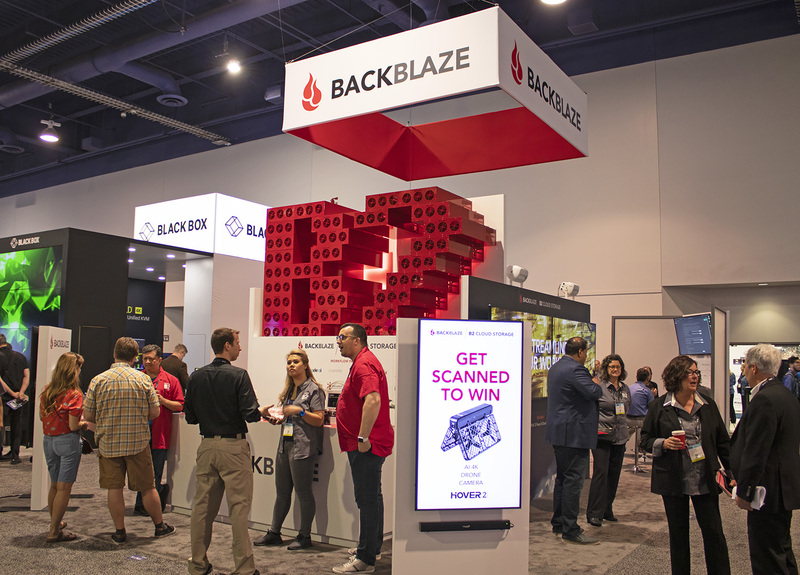 Backblaze didn’t disappoint with the booth giveaways, either. We gave away 1,000 Backblaze nerd pens and 1,200 bags of pink cloud candy just on the first day. 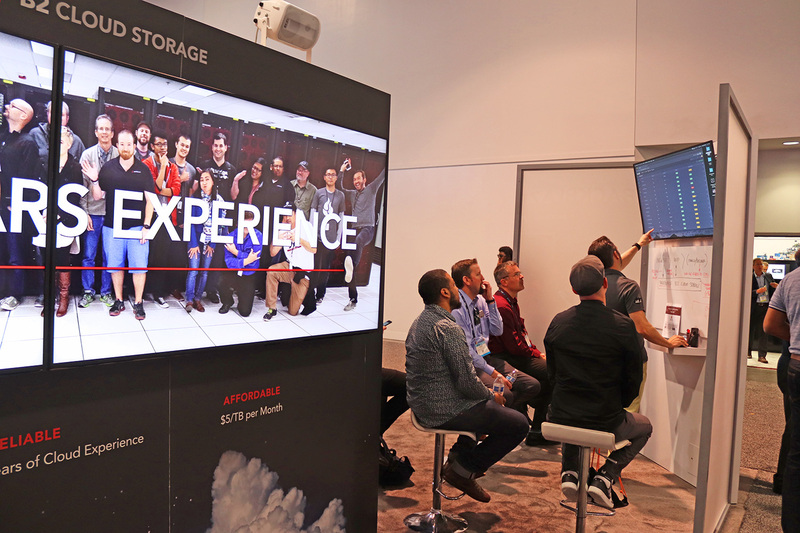 If that doesn’t show growing interest in the cloud, we don’t know what does! Booth visitors get a demo of how to use iconik and B2 to manage media assets. 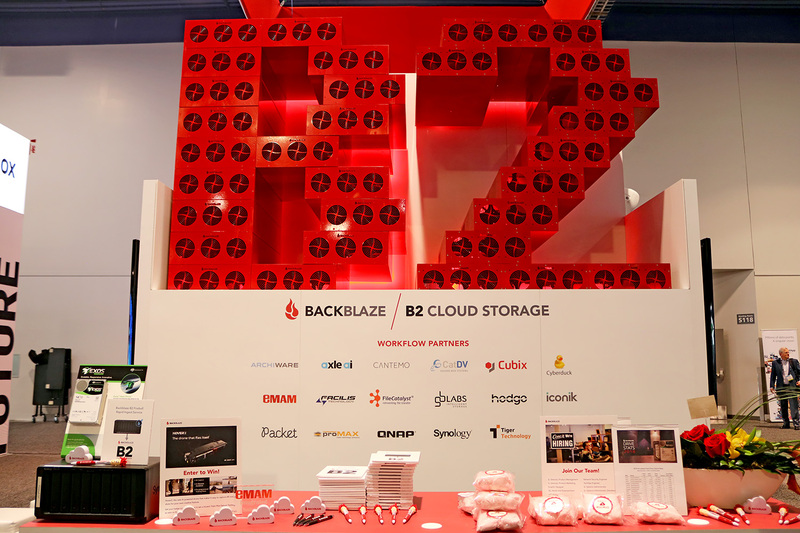 B2 built out of Backblaze Storage Pods with display of some of the B2 workflow partners. If you’ve been following the blog, you know that our creative workflow experts at Backblaze wrote a series of posts on creative media workflows. Don’t miss them! James Gibson, founder & CEO of Ortana, talks with Backblaze VP of Marketing Ahin Thomas about why B2 Cloud Storage and the Cubix MAM & Orchestration platform together make a great solution. 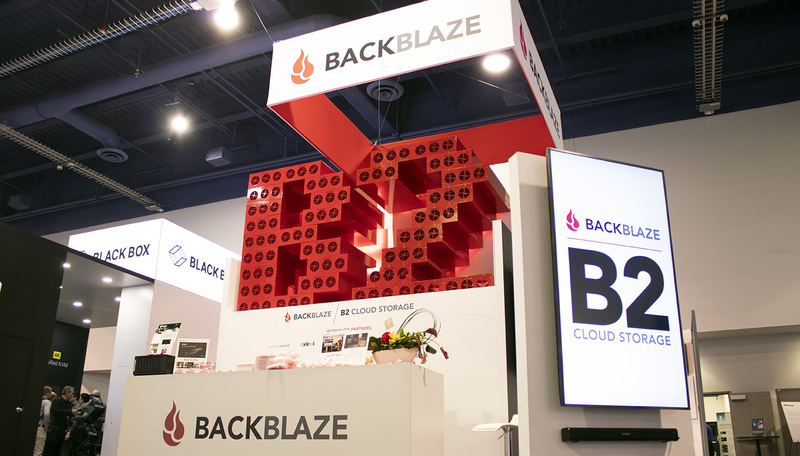 If you were at NAB this year, we hope you stopped by the Backblaze booth to say hello. We’d like to hear what you saw at the show that was interesting or exciting. Please let us know in the comments. 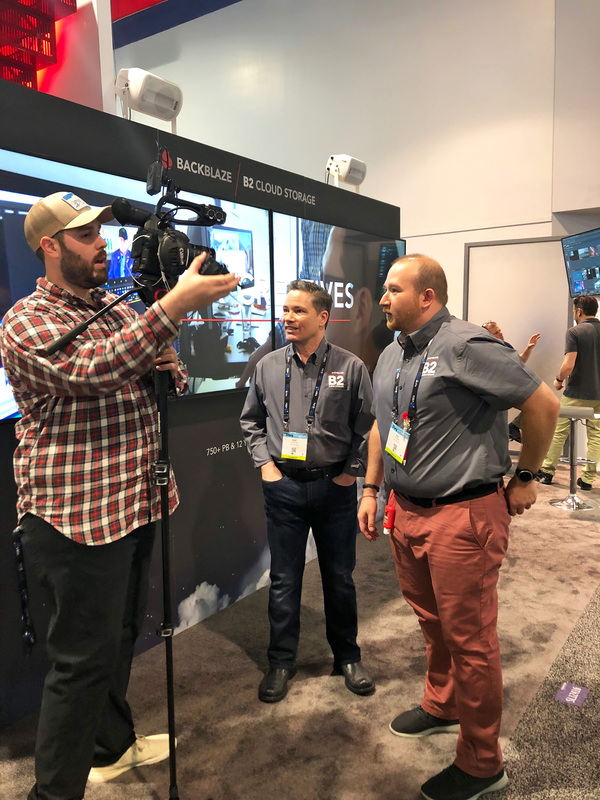 The post Wrap-Up of NAB 2019 in Las Vegas appeared first on Backblaze Blog | Cloud Storage & Cloud Backup.